The 2019 Skoda Superb Corporate Edition is more attractively priced over the standard version, and is exclusively available for Skoda customers with the 1.8-litre TSI petrol engine with only a manual transmission. 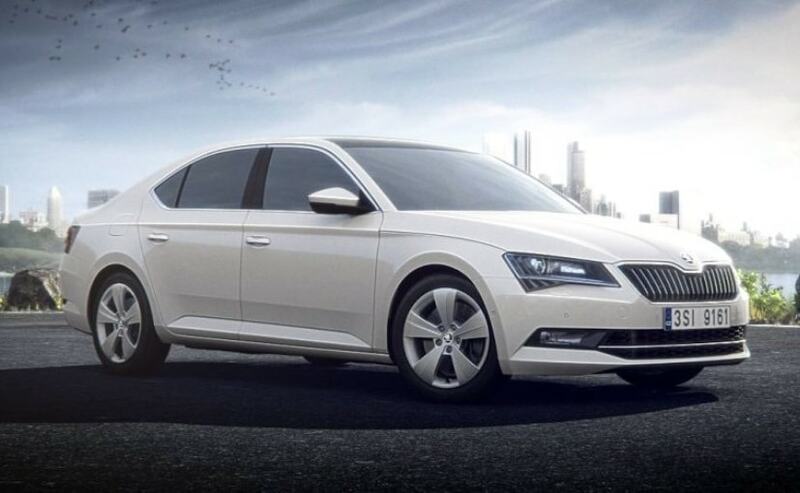 The 2019 Skoda Superb Corporate Edition has turned out to be the first launch from the Czech car maker in India for the new year. The Skoda Superb Corporate Edition is priced at ₹ 23.99 lakh (ex-showroom) and is exclusively for Skoda customers, according to the company. The Corporate Edition caters to the demand of a modern design, high degree of functionality and generous proportions, while being priced attractively. Skoda calls the special edition model a value for money proposition, since it is more attractively priced than the rest of the Superb range that starts at ₹ 25.99 lakh (ex-showroom) for the 1.8 TSI Style trim. The 2019 Skoda Superb Corporate Edition is powered by the 1.8-litre TSI petrol engine tuned to produce 177 bhp and 320 Nm of peak torque. The motor is paired with a 6-speed manual transmission. Skoda claims a fuel efficiency figure of 14.64 kmpl on the Superb petrol. There is no automatic available on the Corporate Edition, although the automaker says it is contemplating introducing an automatic as well since customers have shown demand. The Superb Corporate Edition automatic then, could be introduced later this year, if there is enough demand for the same. The 2019 Skoda Superb Corporate Edition will be available in two colour options - Candy White and the all new Magnetic Brown. With respect to features, the car is equipped with the touchscreen infotainment system with MirrorLink connectivity, Apple CarPlay and Android Auto; three-zone climate control, puddle lamps, and more. You can also control the infotainment system via the Skoda media app that is a big plus for those that like being chauffeur driven. Safety tech on the sedan is in abundance and includes eight airbags, Adaptive Front lighting system, Multi-Collision Brake control system, and more. The Skoda Superb offers up to 625 litres of boot capacity with can be expanded up to 1760 litres with the rear seats folded. There are other storage bits too including the easy open bottle holder with an anti-slip design, cooled glovebox and storage space in the front arm rest. All Skoda cars come with a four year warranty programme with service package and four year 24x7 Road Side Assistance as standard. The same was also recently announced on all Volkswagen cars in India.